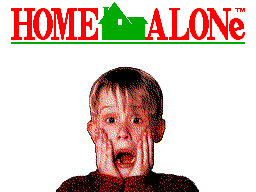 Home Alone for the Sega Master System is a game based on the 1990 Home Alone film. It is a different (but similar) game to the Mega Drive and Game Gear versions - the Master System version was developed by Probe and only released in Europe. It is also considered to be the slightly better game.